RANCHO CORDOVA, Calif. (May 19, 2018) – The 2018 Lucas Oil Pro Motocross Championship, sanctioned by AMA Pro Racing, got underway on Saturday under clear and sunny skies for the landmark 50th running of the Red Bull Hangtown Motocross Classic at Prairie City SVRA. 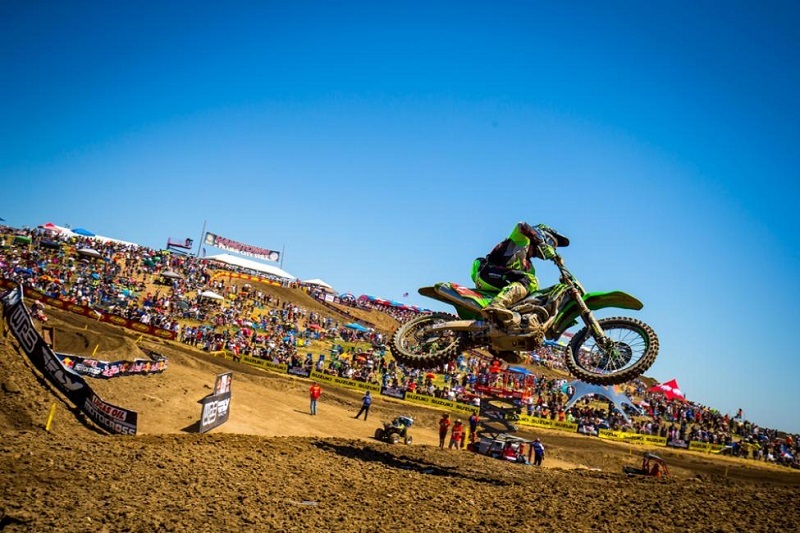 In the premier 450 Class, reigning champion Eli Tomac put forth an impressive come-from-behind effort to sweep the motos and capture back-to-back opening round victories. In the 250 Class, defending champion Zach Osborne duplicated his efforts from a year ago at Hangtown and picked up right where he left off last season with a dominant sweep of the motos aboard his Rockstar Energy Husqvarna Factory Racing machine.